Black strings are hard to find, this is a 10 in a pack strings. These strings are robust 100% polyester. They are designed to contrast sharply with your surroundings, highlighting the motion of the string. Because they are dyed, they are ever so slightly thicker than an uncolored polyester string. 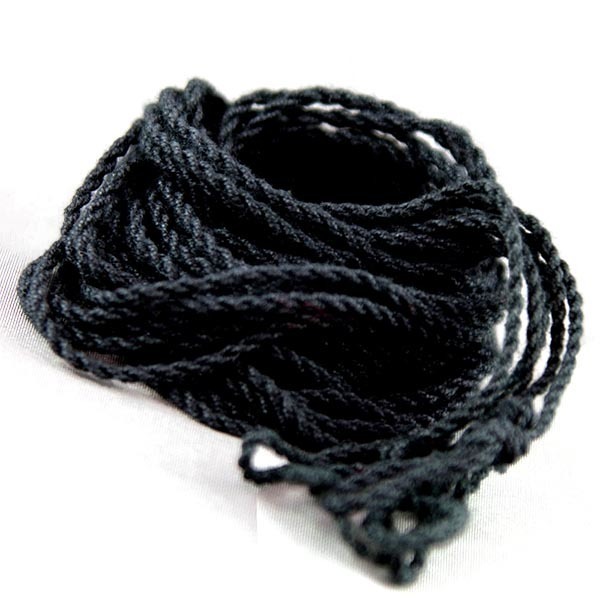 This lends to a slighter stiffer string, just one of the many appeals of colored strings.